Spend the evening, weekend, or longer enjoying the country atmosphere at the historic Edge Hill Inn in Lovingston, see Google Map. 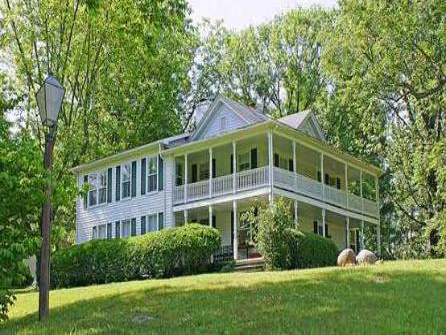 Edge Hill Inn is a beautiful Bed and Breakfast (B&B) situated on a 56-acre, mostly forested, lightly worked farm in the foothills of the Blue Ridge Mountains. With lots of things to do and see. The Edge Hill Inn is perfect for family gatherings, weddings, reunions, or romantic getaways. Light continental breakfast included daily consisting of fresh fruit, croissants, donuts, rolls, make-your-own waffles, and best-roasted coffee from local brewer TBC Roasters.